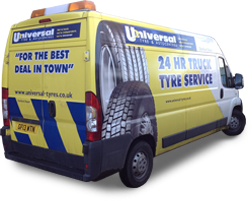 Here at Universal Tyres, we have a number of auto centres located throughout the UK, including one conveniently situated in the centre of Colchester. We provide a range of tyre and vehicle maintenance services throughout the area, including high quality car, van and motorcycle tyre fitting, car servicing, MOTs and repairs. Our expert mechanics are on hand to keep your vehicle in the best of health, offering competitive rates and independent, impartial advice to customers across Colchester. To find out more, or to book your vehicle in for tyre fitting, servicing, repairs or its annual MOT, get in touch with Universal Tyres today on 01206203292.